This page aims to help you remove DMA Locker 4.0 Ransomware. These DMA Locker 4.0 Ransomware removal instructions work for all versions of Windows. Did you turn on your PC and you suddenly found out that you cannot access any of your files? Did all of a sudden a suspicious message appear on your screen, that told you you need to pay a ransom in order to unlock your files? Did you see the word “encrypted” in the message or when you tried to open any of your files? If so, then your PC has most likely been invaded by the malicious ransomware agent known as DMA Locker 4.0 Ransomware. DMA Locker 4.0 Ransomware is ransomware. This type of viruses are some of nastiest ones that can be encountered. 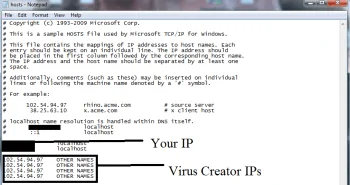 Once inside your PC, the ransomware begins to copy all your files. The copies, however, are encrypted. If a file is encrypted this means that unless your computer has a certain code, it will not be able to read that file. After the procedure is over and all your files have been copied, the originals get deleted. This leaves you with a computer full of inaccessible files and no code to access them. It should be noted that the substance of the files is not harmed by the ransomware. Also, your system will usually be intact as well. It’s just that you cannot open the files. After the encryption period, you will also receive a message. The message will tell you that if you want to restore the access to your files, you will have to pay a ransom. Instructions will be provided on how to transfer the money. Usually the ransom is paid in bitcoins – an untraceable virtual currency. If you don’t have any, you may need to buy some using real money. Also, in most cases you will need to get the Tor browser in order to make the transaction. This browser is basically a gateway to the deep web – a nasty part of the Internet, that you’d better keep away from. It’s possible that DMA Locker 4.0 Ransomware may even threaten to double or triple the demanded money, should you not make the transfer at the moment’s notice. This is all done to make you panic and pay the ransom. However, we advise against doing so – this is hardly ever a good idea, so you’d better try something different, before going for the ransom payment. Below this article, we’ve provided our readers with a possible solution for the ransomware virus. It is a detailed guide on how you can remove DMA Locker 4.0 Ransomware from your system, while also restoring the access to your files. However, we should let you know that there’s no guarantee this guide will 100% bring everything back to normal. So far our method has been generally effective, but ransomware programs are getting more advanced with every day. DMA Locker 4.0 Ransomware is one of the latest versions, so it is possible, that this guide may not be enough to restore all files targeted by the ransomware. Nonetheless, it will cost you nothing to give it a try. Surely it is a much better alternative compared to the ransom payment. Paying the ransom, on the other hand, is a very bad idea. First of all, nothing guarantees you that you will actually get to access your files again. Remember, DMA Locker 4.0 Ransomware’s developers are criminals, and as such, nothing obliges them to send you the code for the encryption. Besides, should you pay them the money, this will surely encourage them to keep on developing their malicious ransomware viruses. All in all, dealing with criminals is never a good idea and in this case you may even want to reconsider whether your files are worth your money and even if they are – always try to find an alternative solution. Obviously, once you’ve landed DMA Locker 4.0 Ransomware, you’re not left with many options. Therefore, it’s that much better if you prevent the malicious program from invading your system in the first place. In order to do so, you have to know how it actually infects your PC. The nasty ransomware usually finds its way into your system with the help of another virus. 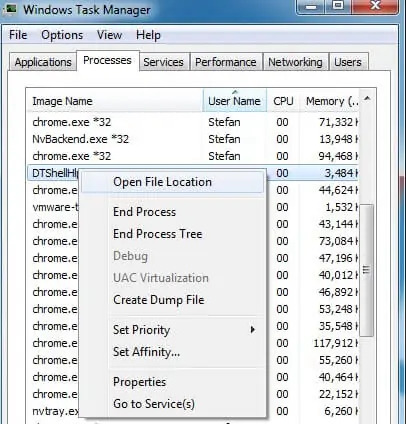 Trojan is a good example of a such virus. Knowing this, it should be clear that a reliable, up-to-date anti-virus software is a must. This will help you fend off any malicious software, that may pave the way for DMA Locker 4.0 Ransomware into your PC. You should also be careful when checking your e-mails. 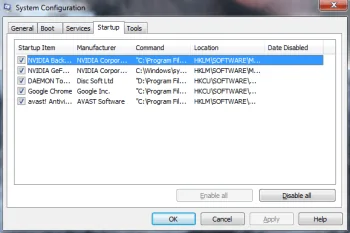 This is one of the most common methods via which the ransomware invades users’ computers. Always double-check the letter’s title and the name of the person who is sending you the letter. If any of it looks suspicious you may reconsider opening it. If you manage to memorize these simple tips, you will effectively protect your PC from future ransomware infections. Symptoms Before the encryption has finished, you may notice odd behaviour from your machine. Higher CPU, RAM and Hard-Drive usage are are common symptoms. Distribution Method Malicious e-mails, illegal websites and torrents. Other viruses may serve as a gateway for DMA Locker 4.0 Ransomware too. Detection Tool DMA Locker 4.0 Ransomware may be difficult to track down. Use SpyHunter – a professional parasite scanner – to make sure you find all files related to the infection. Do not skip this. DMA Locker 4.0 Ransomware may have hidden some of its files.